Document and records storage may not feel like the most exciting work for your company, but it’s one of the most important things in your business that needs to be maintained and managed. 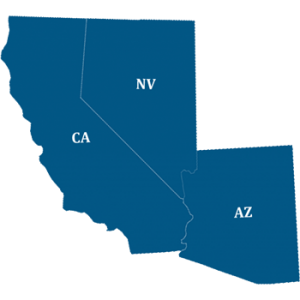 TierFive’s off-site data storage services provide indexing and records archiving in our state-of-the-art information centers that meet the strictest measures of security, fire prevention, and surveillance. Free up space in your office, optimize workflow, and securely store both critical and inactive files. 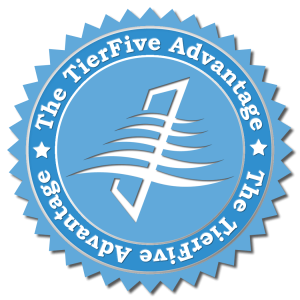 By using TierFive Secure Document Storage you can eliminate the hassle of archiving and storing paper files forever. 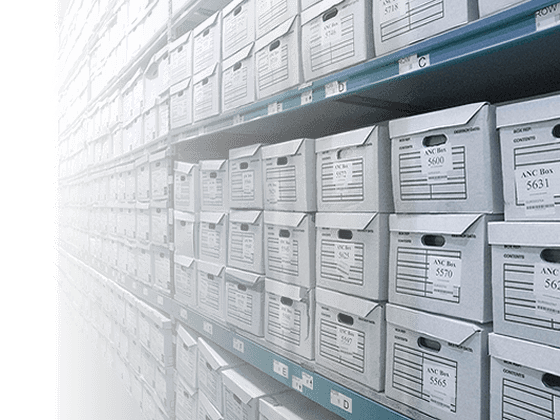 If you’re looking to archive or store inactive records, personnel files, or confidential documents in a more efficient way, our offsite records storage service can help you eliminate the headaches involved with managing dozens of file cabinets of records. For businesses seeking compliance and space-saving solutions, TierFive offers full-service off-site document storage at securely monitored, fire-protected facilities. When you need access to a specific file or document, we offer a range of services to ensure your information is protected yet available when you need it. When you have items or information of high intrinsic value, Recall offers superior vault storage with security enhancements such as biometric access and VESDA. Our professional couriers retrieve, deliver and exchange your important documents and records securely, according to stringent operating procedures. Combine TierFive’s Secure Document Storage with our Scan on Demand service for even faster access to your stored files. No need to wait for shipping, have your documents scanned or faxed on demand as you need them for even faster access to your stored files without the costs of an entire digitization project. In a world of increasing risks, TierFive invests heavily in security and protection measures so that its clients can rest assured that their documents are safe and secure at all times. You will enjoy peace of mind knowing that your business information is safe and secure, yet easily accessible whenever you need it.